Keeping hair out of your face in the barn or ring is a must, but sometimes a basic ponytail will simply not. 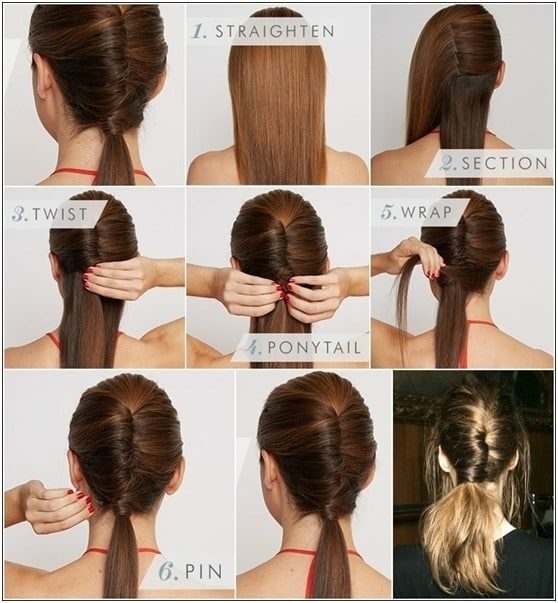 We have searched the web and gathered image tutorials for 15 beautiful ponytails and easy to carry through the summer! section of the front of the hair is braided. Smooth and stretch the rest of your hair to keep it out of the way of braiding. Braid the front of the hair and then put the braided hair around the base of the ponytail. Use hairspray to soften any Fly-aways. Pull the hair back, making sure it is completely soft and sitting right on the nape of your neck. 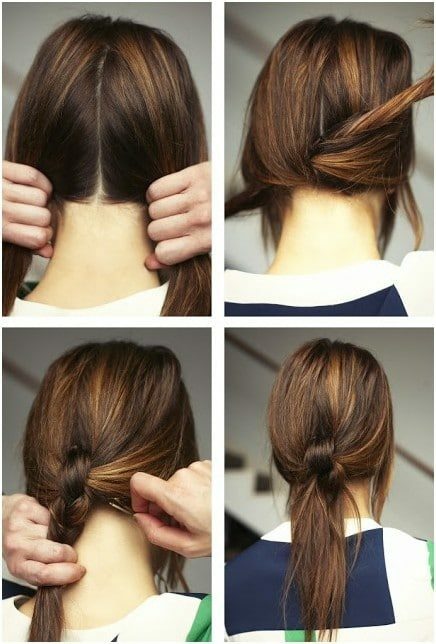 Divide your hair from the center and tie the two sections into a tight knot. Use Bobby pins to protect and lacquer to soften any Fly-aways. This is an upgraded ponytail that can be created in the curly and straight hair texture. Create two ponytails-one at the bottom and one at the top offers longer layers and fuller bodies for your ponytail. First, straighten or curl the hair as you wish. They mock the top section of the volume and pull it into a ponytail. Lower section style and pull a ponytail as high or low as you would like. Great ponytail for thinner hair with less volume. Curl your hair if it’s not curly anymore. Divide the hair into four sections, as shown in step 2. Backcomb the upper section for volume and disorderly effect. Rotate each section and fasten with forks. Lower section style on a low and safe ponytail with a hair band or staples. Large ponytail for longer hair. Tease the hair from the top section to the natural volume and style on a pony. Wrap a lock of hair around the Pony to hide the band. 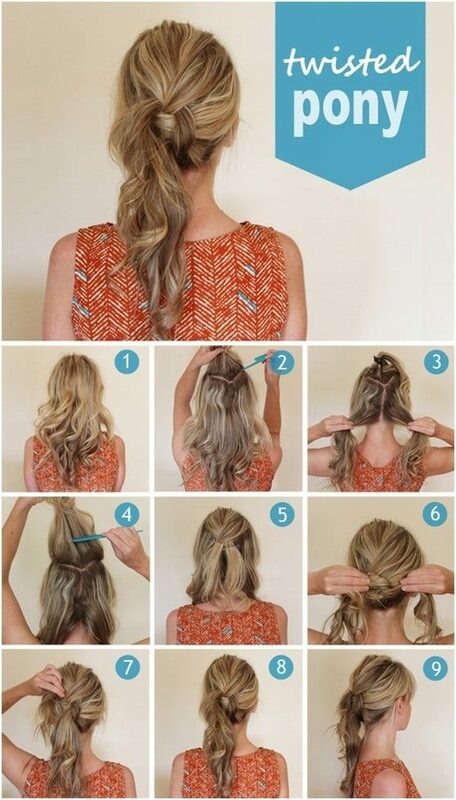 Pull the hair from the bottom section into another ponytail. 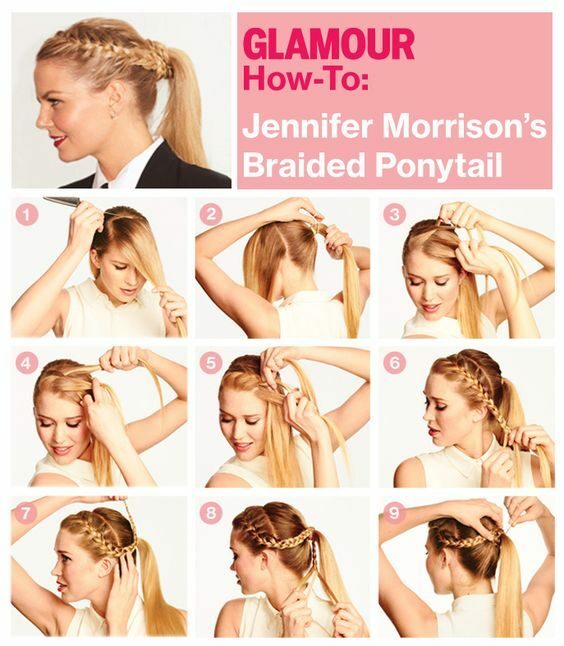 Repeat the steps until your ponytail is stylized. Section of the top of the hair and divide the rest of the hair into two parts even. Rear comb the upper section for provoking and securing with pins. Cross the two lower sections without tightening. Use pins to lock him up. Style your hair on a high ponytail and fix it with a hair band. 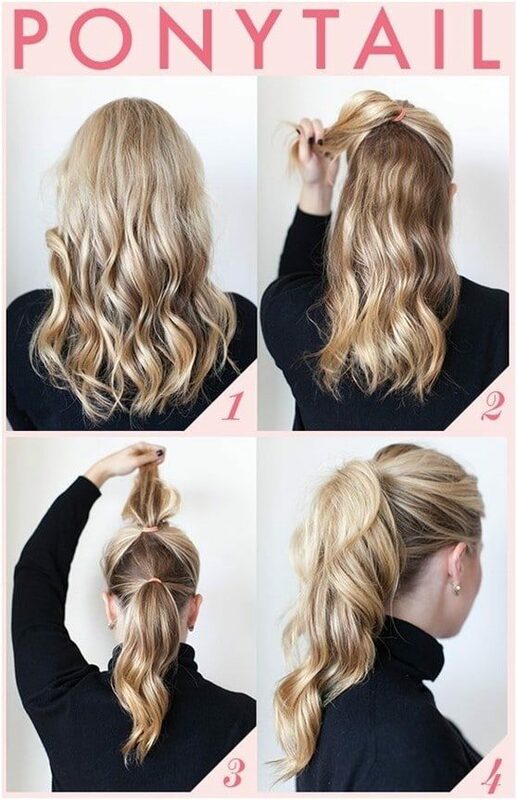 Take a large part of the hair from the back of the ponytail and wrap it around the ponytail to hide the elastic. 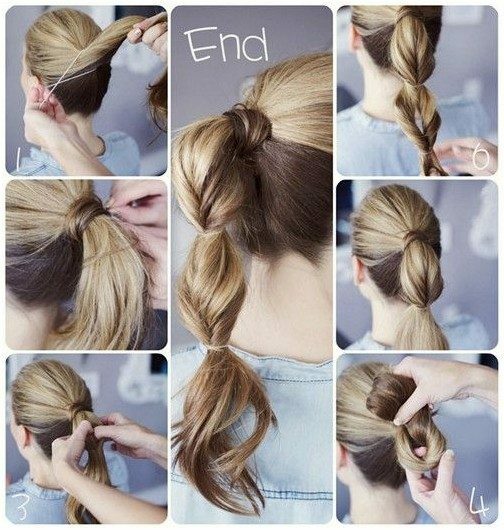 Twist and cross the pony and then arrange with a clear elastic band. Repeat the same step until all the ponytail is stylized.